Ed. note: This is the fourth installment in Perspectives from the People’s Land, Naomi Heindel’s blog about her summer research in James Bay, Quebec. Follow the links to check out Part 1, Part 2, and Part 3. The boat was loaded, Willie Gunner was locking up his cabin, and I was taking a few last pictures of Lake Temiscamie when the woodland caribou walked into camp. In the moment, it all seemed incredibly natural and straightforward. Willie grabbed his gun, and the caribou was down on the first shot. I discovered that its antlers are fuzzy, that its hide is thinner than a moose’s, that a knife and an axe are all that’s needed to prepare its meat. It’s one thing to read, or write, that the Cree are a hunting and fishing people, and quite another to watch Gunner’s skilled hands part leg from hide, to rinse the meat with lake water, to drop the entrails off on a far beach for an already-circling eagle. It’s one thing to sit in on forestry consultation meetings in which tallymen talk about where they hunt, when they hunt, the importance of hunting –– and quite another to see the caribou go down, to sense Gunner’s pride, to hear him talk his way through the process. 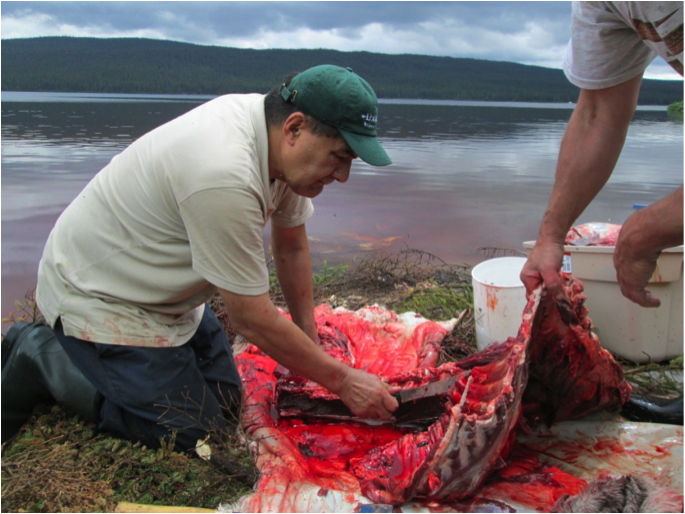 Willie Gunner cleans the ribs of the caribou using only a knife and an axe. Recently elected vice-president of the Cree Trapper Association, Gunner is probably in his mid-60s, a grandfather, and his age made it evident that butchering a caribou is physically exhausting work. Although I’ve had plenty of reminders this summer about the dangers of romanticizing the relationship between the Cree and their land, this time the message was more visceral: being connected to the land –– and deriving culture, livelihood, and identity from it –– is just as full of blood and sweat, bugs and sand, as it is of peace and quiet, soft moss and fir boughs. “They knew the land, and the land knew them,” Cree cultural coordinator Margaret Fireman told me of Cree elders. Cree poet Margaret Sam-Cromarty takes the relationship a step further when she writes of her parents, “They were the land.” Witnessing one caribou hunt certainly can’t teach me all that this means, but it does add a tangible, sensory layer, one that I am grateful for. Tallyman Joseph Neeposh talks about the devastating changes to the land that he has witnessed. 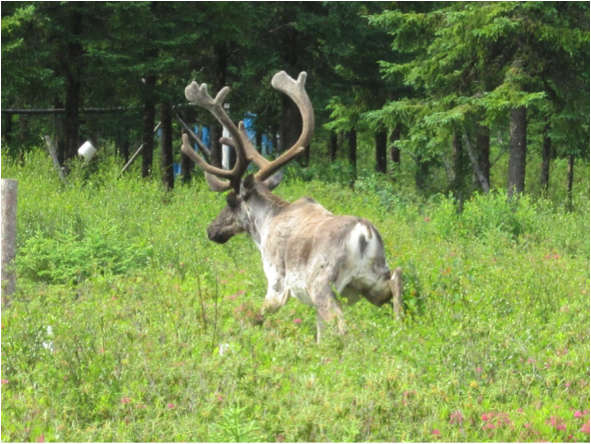 Neeposh’s observations are corroborated by a recent study on the three herds of woodland caribou that live in Quebec. The study’s conclusions are bleak: woodland caribou are threatened in Canada and vulnerable in Quebec, and the three herds are experiencing negative growth –– in other words, their populations are no longer self-sustaining. The farther I got from the beach on Lake Temiscamie, where Gunner slew his caribou, the more the bleaker side of the caribou story filled my thoughts. While the researchers on the study, which I heard presented at a Cree-Quebec Forestry Board meeting, called for a ban on caribou hunting (the Cree not excepted), the “ultimate cause is attributed to landscape transformation.” Logging, road construction, mines, cabins –– all of this infrastructure serves to fragment the core forests that caribou need. And for herds to rebound, researchers say that it all must stop. As one representative from Quebec’s Ministry of Natural Resources (MNR) told me, caribou need at least 250 square kilometers of unfragmented forest to thrive. Mosaic cutting, the type of forestry required on all Cree territory, does prevent large, sweeping clearcuts like the kind I saw east of Lake Temiscamie, outside of the political agreement boundaries; it does prevent individual tallymen’s hunting grounds from being totally demolished. Mosaic cutting does provide the proximity of shelter, in the form of residual forest, and food, in the form of young regeneration, that moose favor. But mosaic-style forestry entails cutting, in the words of the MNR representative, “a little bit of everywhere, and the result is a big fragmentation. We lose the core forest.” And that loss, plus Quebec’s high annual allowable cut, is driving caribou to extinction, and endangering the Cree’s way of life in the process. 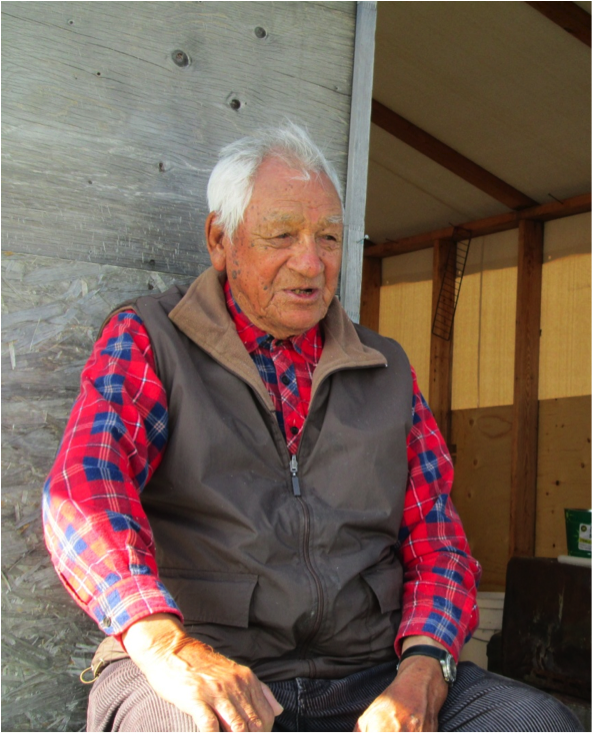 Cree, like Willie Gunner, depend on caribou as a source of both food and culture. If the picture is so grim, then why, as we drove back to Mistissini with our pickup truck loaded with caribou –– the hide for tanning, the head for soup, the hooves for scrapers –– did I feel more hopeful than ever about the endurance of Cree culture and the integrity of Cree land? For weeks before my trip to Gunner’s camp, I’d been witnessing frustrating forestry consultation meetings and hearing stories about unmaintained roads washing out, unmonitored non-native cabins spreading, and artificially regenerated trees unpalatable even to rabbits. 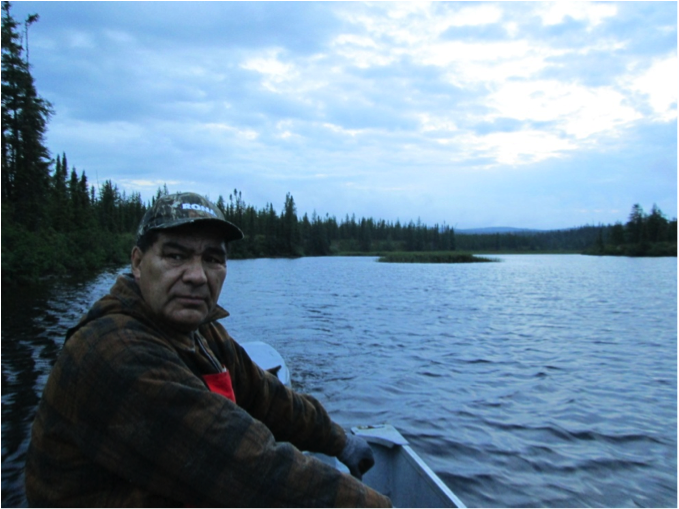 In light of these many disasters, I asked Allan Saganash, forestry administrator in Waswanipi, if he had any hope left for the Cree people and their land. “If the caribou help us,” he answered, with a sideways grin. Like many Cree answers to my questions, this one didn’t make sense right away. But in the days following our caribou lunch on Lake Temiscamie, I thought of his answer frequently. If this recent caribou report is heeded, might it really change the course of development in James Bay? 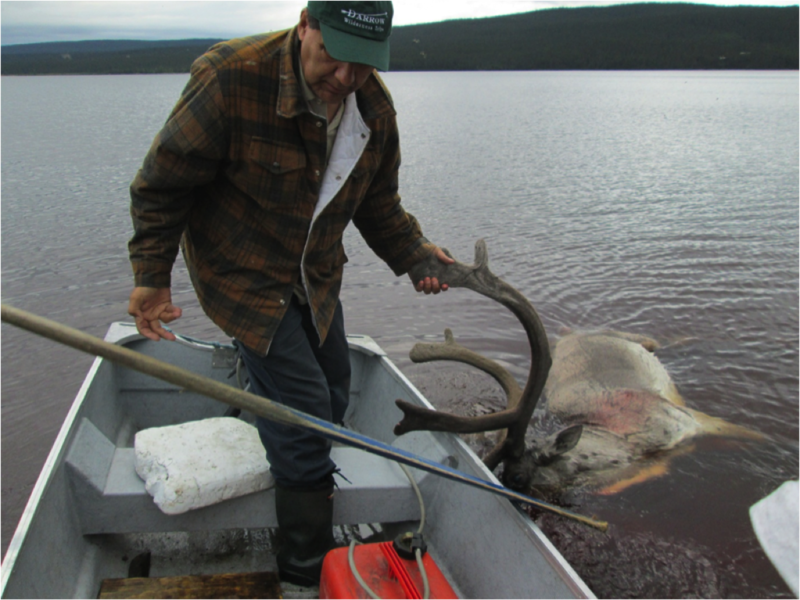 A proposed road on Willie Wapachee’s trapline is among the roads that the caribou researchers think should not be built. “If the road is rejected, what are you going to do?” Saganash asks the MNR during Wapachee’s consultation meeting. “Fix this other road? Or are you going to go away?” In other words, will the imperative of saving caribou help the Cree? Or at this point, is halting development, and restoring caribou habitat, too far removed from reality, as Quebec’s Plan Nord pushes development north? I see it as a two-way street, a modern-day example of the Cree’s connection to the land –– for the Cree can help the caribou, too. In fact, that’s what these forestry consultation meetings are all about: tallymen working to ensure that lunches of caribou –– along with moose, goose, fish, and beaver –– can be enjoyed by Cree of all generations on the shores of lakes across James Bay. For my part, I miss the untainted hope that I felt driving in the caribou-packed truck, Gunner whistling as he imagined his mother-in-law preparing the cuts for his extended family. But just as it’s best to know the grittier side of the Cree’s connection to the land, it’s also best to balance optimism with an acknowledgement that the landscape shared by Cree and caribou is badly fragmented, and that both a species and a lifestyle are threatened. Sam –Cromarty, Margaret. “Untitled Story.” Indian Legends and Poems. Lettresplus, 2001: Hull, Quebec.